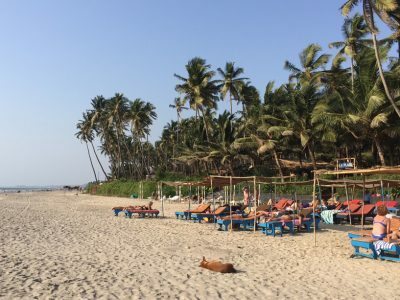 We’ve been going to Goa for a long time and we are always really delighted when we come across a real gem and The Banyan Tree certainly is this. It is a place for people who love nature and appreciate simple, natural, beautiful surroundings. There is something about The Banyan Tree that promotes a sense of ease and deep relaxation as soon as you enter the land. 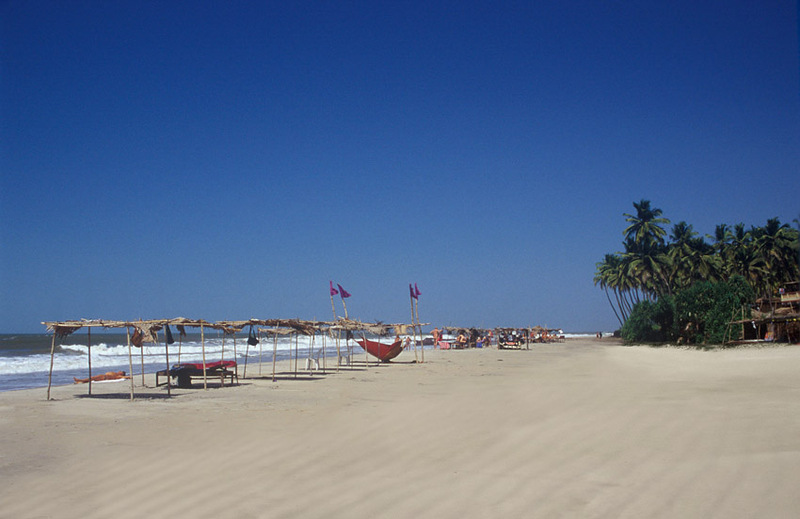 Goa is a magical and exciting vibrant holiday destination and to have a place like the Banyan Tree is really special. 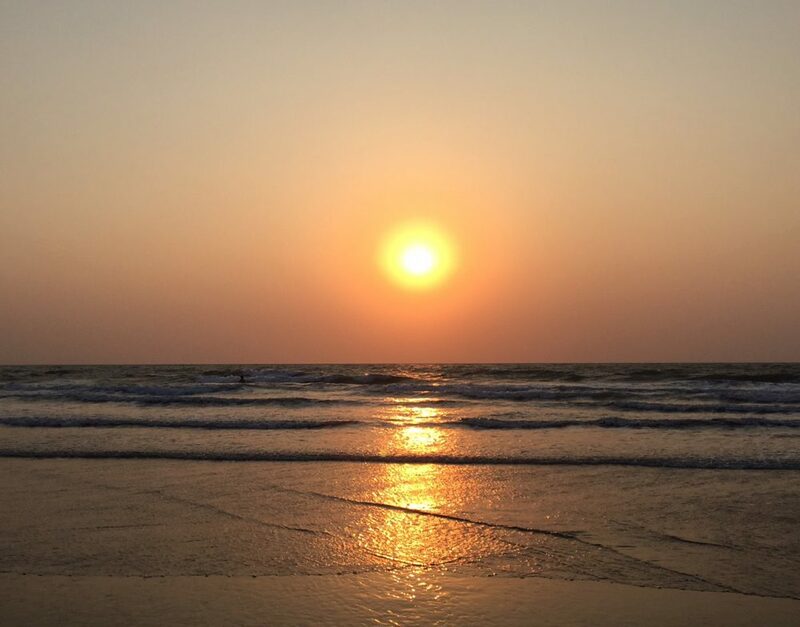 It is close to the vibrancy and energy that Goa offers but tucked away where you can really deeply relax in the beauty of this much loved Indian state. All who come to the Banyan feel a real sense of love behind everything that is done there. 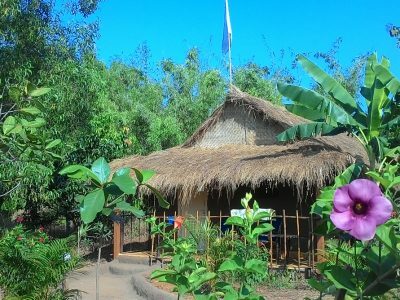 From the building of the huts and the restaurant to the preparation of the food and the planting of the flowers. It truly feels as if the venue has grown out of the earth. For 2019 there will be a pool at the Banyan Tree that will be harmonise perfectly with the natural surroundings as everything does as this special place. 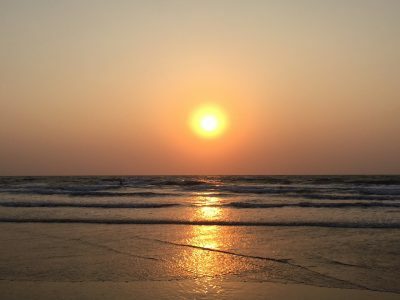 Birdsong can be heard from morning to twilight situated in this peaceful location between two of North Goa’s favourite beaches, Ashwem and Mandrem, a 20 minute walk or short scooter/taxi ride away. 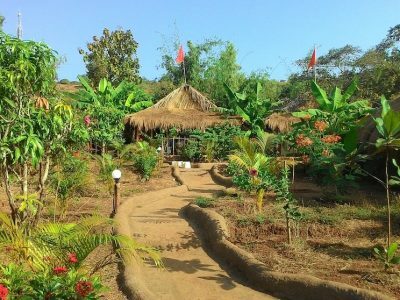 All of the meals served are home-made and produced either from the Banyan's very own vegetable patches or from local farmers. Delicious and traditional breakfast and dinner are included. 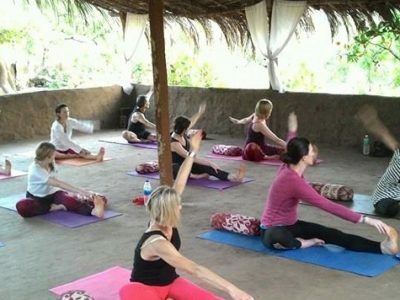 Join us for a yoga holiday at this very special place in Goa, known for its sunny, warm days, laid-back beaches and colourful markets. 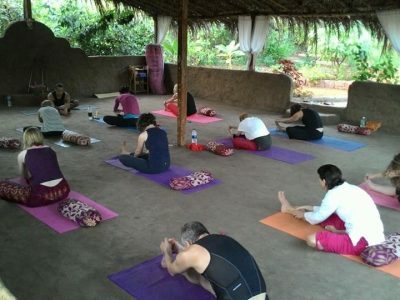 The intention for this holiday is to enjoy all that Goa has to offer but to also dive deeply into your yoga practice. In simple surroundings, restore your elemental balance and deepen your practice. Each day will begin with a two hour morning yoga class. A dynamic flowing asana practice gently opening the body and attuning the mind to the breath. The afternoon class will be more restorative and often include pranayama, meditation or yoga nidra. There will be two yoga-free half days. Between classes there will be time to relax by the pool, head off to the beach, swim in the sea, go to the market or simply read and relax. 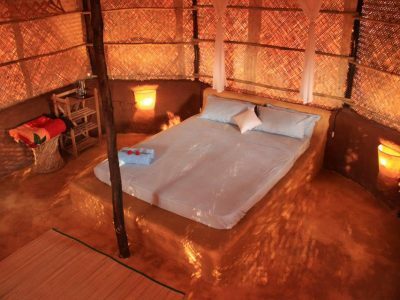 Eco friendly huts are made from local sustainable materials. 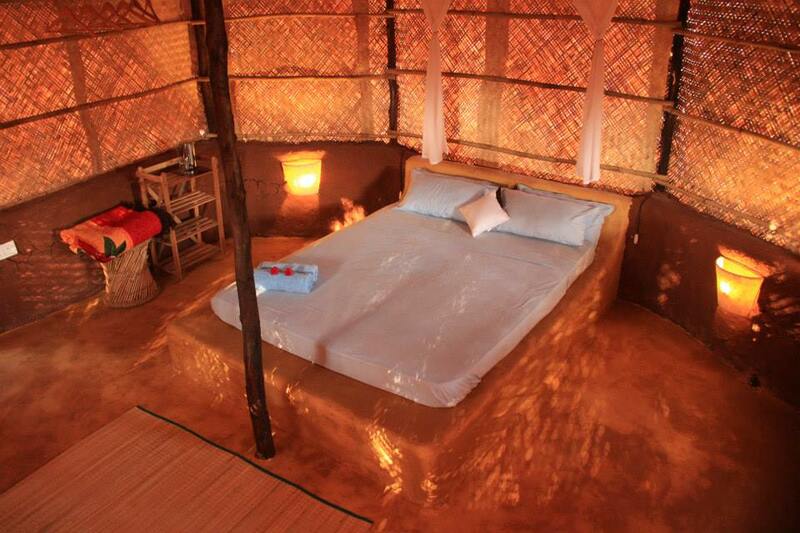 All are suitable for single, double or twin occupancy and have an en-suite toilet and shower under the sky. 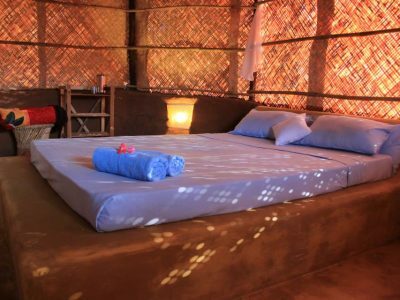 The shaded yoga shala offers a peaceful place to relax, recharge and feel rejuvenated after a yoga or meditation session. The beautiful garden is tended daily, with many blossoming flowers and a vegetable patch where vegetables are grown to make the cooking even fresher. 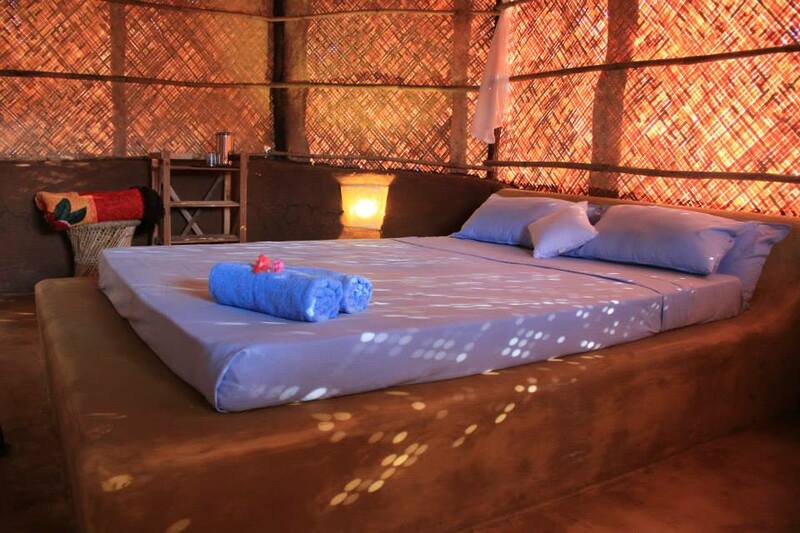 There is also a bonfire area for relaxation in the evenings with live music, surrounded by cashew trees. I've just arrived home and already missing Banyan Tree! I had a wonderful time. 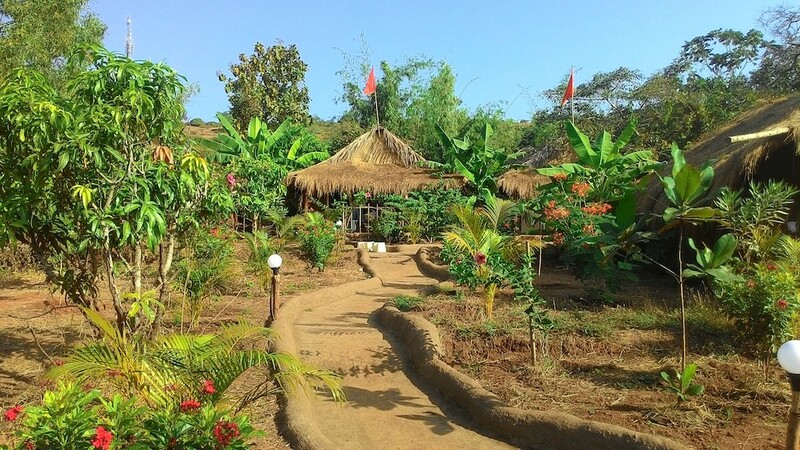 It was such a relaxing and simple place with wholesome food and great hospitality. Chinu and Anu couldn't have done more to welcome us. Just the right amount of attention without being in your face and always there when you needed anything. The high point is the pathways and floors - walking on that lovely baked mud felt so good for the soul. Jess is an amazing teacher as we were a mixed group and she was able to accommodate all levels, going deeper in poses if she sensed people were able. She guides you through the poses with a reminder of breathing which I personally loves as it connects the mind and body energy. I came away feeling that mind and body were awoken, feelingly lighter and refreshed. Fantastic retreat. 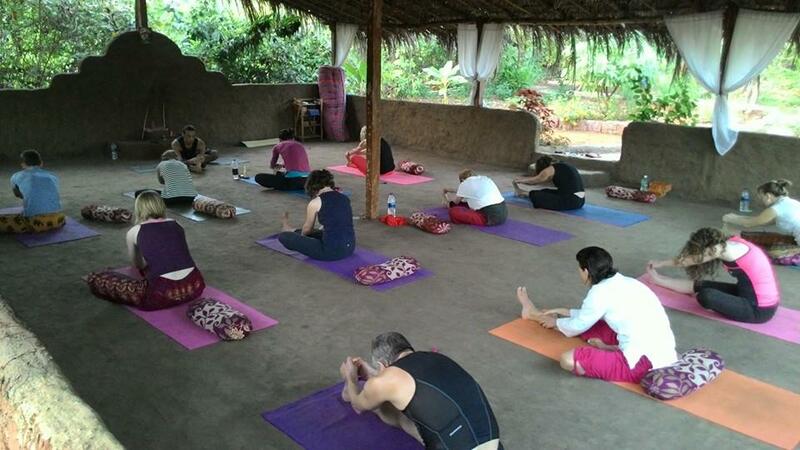 Venue (Banyan Tree in Goa) was sensational and teacher (Jess) was inspiring and brilliant. I was also very pleasantly surprised by what a wonderful crew of people the retreat attracted. I knew no-one at the beginning and yet one week later there were 16 people all of whom I was more than happy to hang out with. Total five star experience and I will book with YOAS again with great confidence! I don't know how you manage to find such lovely places for your yoga holidays! 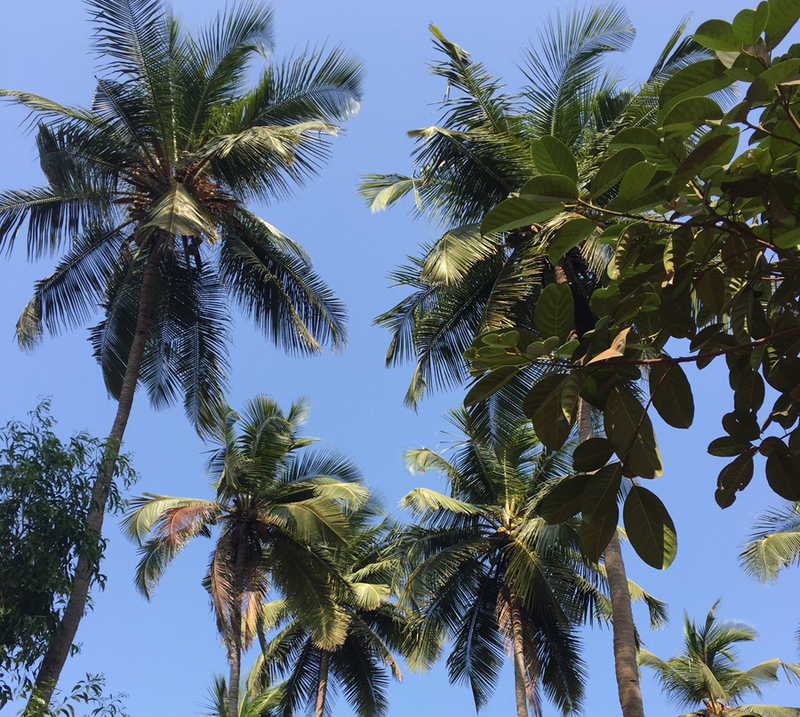 Banyan Tree is a wholesome and genuine place in Goa and as I'm sure everyone has reported Anu and Chinu and their staff are delightful people, who looked after everyone incredibly well - going out of their way to help us on several occasions. We loved the birds, trees and wildlife; the food was delicious. Jess is an inspiring teacher and we loved her meditation and philosophy teachings as well as the yoga. In about two days we had gone from stressed travellers to feeling relaxed and centred and from there it only got better! 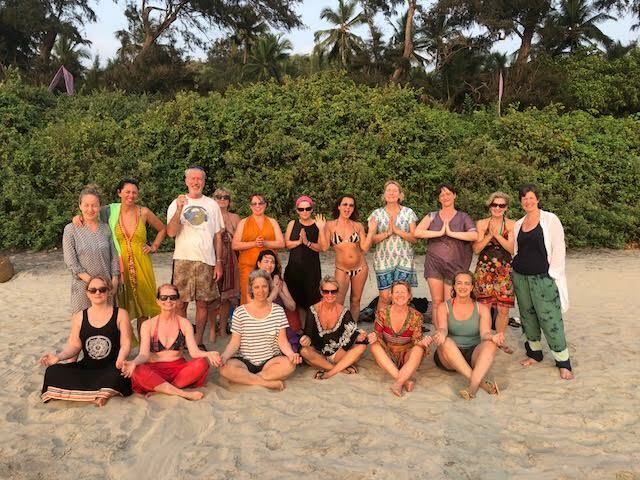 Just to say I had a brilliant time at the Banyan yoga retreat. I've never been on one before so didn't really know what to expect. It was way better than what I was expecting. Jess was an amazing teacher and I felt that I really learned a lot from her in that one week. She was just great. The staff, food, and services at the Banyan Tree were fantastic. The level of service, standard of food and care was impeccable. As always…it was a magical week at the Banyan Tree. Anu and Chinu have beautiful souls filled with love and this permeates throughout everyone in the team. The food is fantastic and I’m hoping they will have produced a cookery book by the time I go back next year. And Jess…I was lucky to find Jess on a YOAS retreat in 2017 and this is now my third retreat with her (and you). I feel blessed to have Jess as a yoga teacher. She has a gentle, graceful style with a really solid knowledge of all the aspects of yoga which she is willing to share - a true teacher. 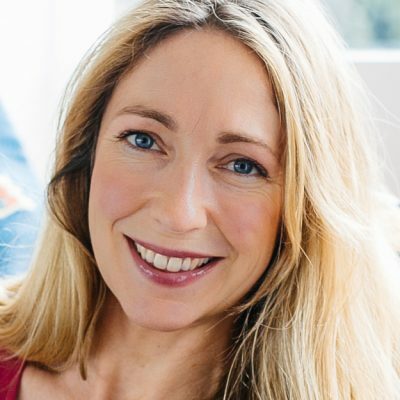 Jess is a spiritual and inspiring teacher and has helped me to take my yoga practice to a much deeper spiritual level. Two yoga classes daily with two yoga-free afternoons. Delicious and healthy breakfast and dinner each day. 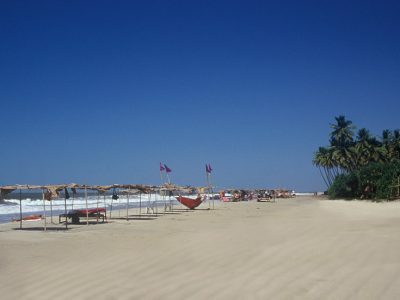 Although there are many options for flights to Goa it is essential that you book early to get the best deals. 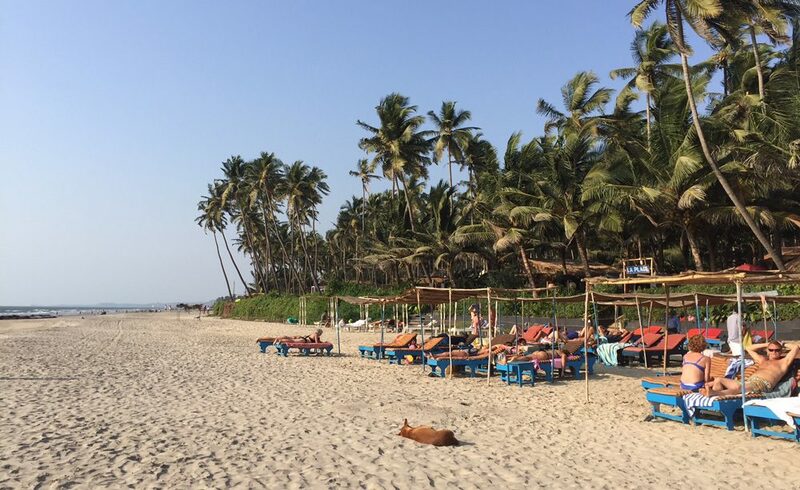 There are many ways to get to Goa. 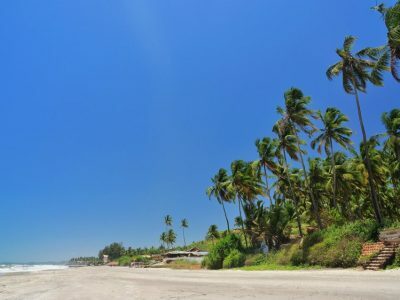 You can fly directly to Goa from most major airports or you can fly to Mumbai (Bombay) and take an internal flight to Goa with SpiceJet - an internal Indian airline. There are many other internal flight alternatives too. 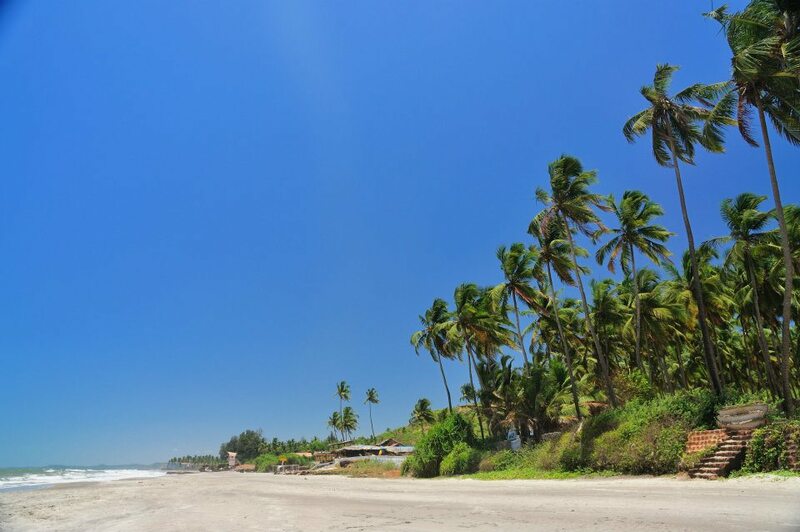 You can also take the train or the bus from Mumbai to Thivim, which takes about 8-10 hours. 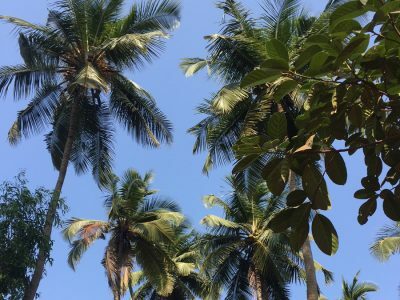 A taxi from Goa's Dabolim Airport to the Banyan Tree is not included in this holiday. The journey takes 1.5 hours and costs Rs 1700 (approx £20). Please be aware that a tourist visa is required for travel to India. This needs to be applied for well in advance of your travel date and we can provide an address for the venue for your application.